That’s why we opened the Metabolic Bone & Osteogenesis Imperfecta Clinic. Our goal is to improve the quality of life of children with bone disease or OI through compassionate care, advanced medical options, and continued research aimed at a cure. Along with our clinic staff, these specialists all work together in one location to ensure the most effective, comfortable, and convenient care. OI is a genetic disorder. It is caused by a mutation (change) to genes — the “building blocks” of heredity — which are passed down from parent to child. Frequently, OI appears in families with no previous history of the disorder. It is not caused by any action taken by a parent before or during pregnancy. OI affects the body’s ability to produce collagen, which is a material in bones that keeps them strong. As a result, the bones are brittle and can easily break. OI does not discriminate — it is found in males, females, and children of all ethnicities. As the only medical center in the region solely dedicated to the care of pediatric patients, we are prepared to meet children’s unique needs. Our team is familiar with how children communicate, as well as how their physical needs are different than those of adults. Our dual-energy X-ray absorptiometry (DEXA) scanner — technology used to measure and monitor bone density and strength throughout the treatment process — is specifically designed for children, including our young infant and toddler patients. Our DEXA radiology technologists have extensive experience in working with children and exposing them to the least amount of radiation to obtain the maximum benefit. We treat children of all ages, including infants with significant OI to decrease fractures and surgeries, and promote normal growth and development. We listen to feedback from you and your child and seek minimal treatment for maximum benefit. 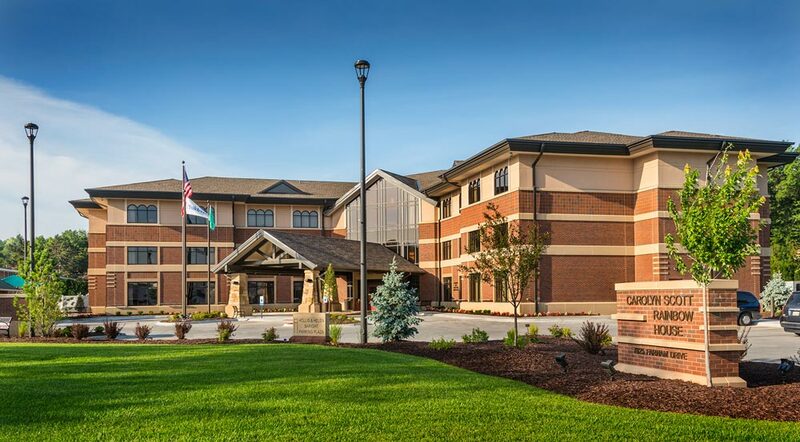 Since the majority of our patients travel to Omaha from other states and countries, we interface with primary care providers and health agencies in your hometown to safely administer medications and other therapies. We work with insurance companies to stress the role that early preventive care plays in lessening the cost of OI care. Hypophosphatemic rickets: A hereditary form of rickets, which is the softening and weakening of bones in patients who are not yet skeletally mature. Pediatric or juvenile osteoporosis: A progressive condition marked by the loss of bone density or insufficient bone formation, weakening the bones and making them more susceptible to breaks. Hypophosphatasia (HPP): A hereditary bone disorder that affects the development of bones and teeth. As your child grows, they might notice increased fractures, bone pain, and early tooth loss. In very severe cases, HPP can be fatal shortly after birth. Each child with OI is unique – not only as an individual but also in diagnosis. We take a highly-personalized approach to patient care. Your child’s treatment plan will be created and adjusted just for them, based on factors such as their pain and fracture potential, age, growth, dietary needs, and financial, mental health, or behavioral concerns. We also offer one of the most advanced, active programs in the nation children with moderate to severe OI. Our advanced treatment regimen typically includes a combination of bone-strengthening medications, followed by the surgical insertion of growing rods. This offers the greatest promise for improved comfort, growth, and development. Often, this surgery is minimally invasive — the rods are inserted through a few tiny cuts, rather than large incisions. 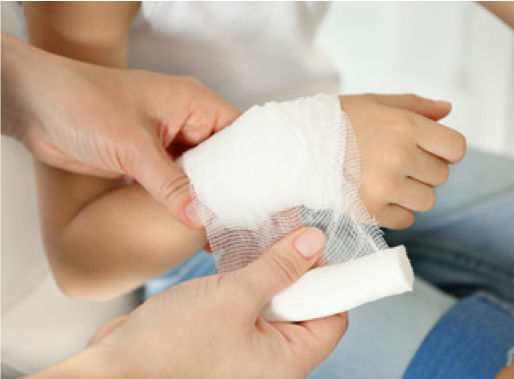 In many cases, this can be done without a child needing a cast after surgery. Our pediatric orthopedic surgeon, Dr. Paul Esposito, received personal training from co-inventor of the rods, Francois Fassier, M.D., of Montreal and is often consulted by pediatric orthopedic surgeons across the country. Research is an important and growing area within Children’s OI Clinic. We are dedicated to finding the latest and best treatment available for pediatric patients. When your child receives treatment at the Clinic, you may be asked to participate in research studies from time to time. Your child will never be included in research without your consent. Children’s OI Clinic is part of The Brittle Bone Disorders Consortium, part of the National Institute of Health’s Rare Diseases Clinical Research Network. The consortium is a multi-centered program that focuses on understanding and providing better treatment options for all types of OI. In addition to our work with the Brittle Bone Disorders Consortium, the Metabolic Bone & Osteogenesis Imperfecta Clinic at Children’s is part of the Metabolic Bone Data Registry study. We collect data on all growing rod surgeries, current medical therapy for patients with OI (pamidronate or other bisphosphonate therapies), quality of life surveys, physical functioning surveys, and more. Patients can be enrolled from birth to age 18 for this study. Even though there is still a long way to go before we find a cure for OI, OI research being conducted at our clinic will have a more immediate impact upon treatment protocols for the disorder. Please use these additional resources, tools, and guides to assist and offer insight as we work together to treat and manage your child’s OI. Our staff includes a multidisciplinary team of healthcare professionals trained and experienced in treating and managing children with OI, working together in one location to make the care process more convenient and comfortable for you. Contact us by phone at 402-955-4199 or fax at 402-955-4184.